Outdoor equipment needs to be stored outdoors, bringing such equipment indoors for storage and protection will track dirt and mud into the house. 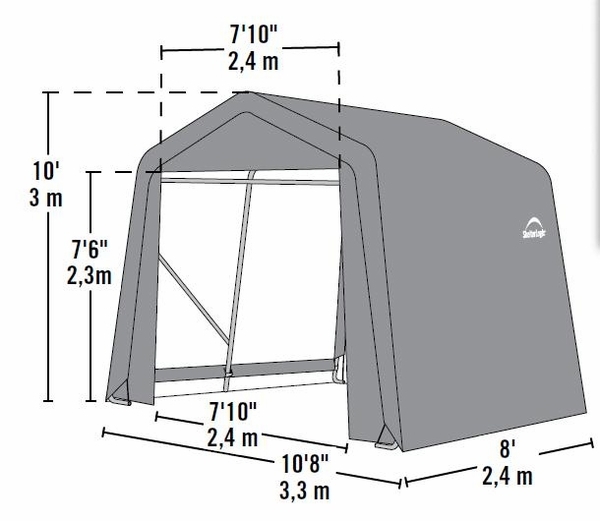 Shelter Logic offers this portable shelter as a solution for all of your outdoor storage needs. 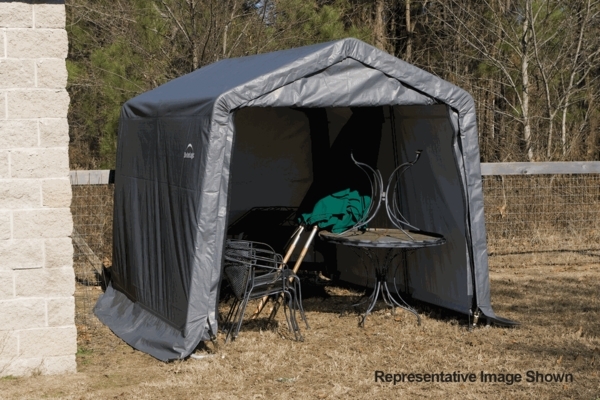 The portable shelter features durable construction with it's steel frame and commercial grade UV treated polyethylene cover. The frame is powder coated with a DuPont Thermoset finish that is resistant to rust, corrosion, cracking, and peeling.